This seal mounts on the door with the pre-applied clips and now accomadates both original and aftermarket door clip spacing. It fits the driver side. 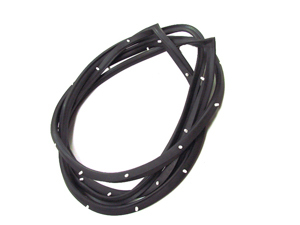 It's made from high quality ozone resistant EPDM rubber.